We’ve been deeply questioning our relationship with social media lately. The infatuation phase has worn off and it feels like almost every day a thought-leader is publishing an article shedding light on some new facet of it’s insidious nature - it’s as addictive as gambling, robs us of precious real world moments and pits us against one another in us vs. them battles instead of truly connecting us. The pendulum has truly swung from one side to the other, and quickly. However, while social media is new, these battles around the adoption of new technology are not. The next phase of the relationship will likely mirror cycles of the past and swing us to a less extreme, healthier middle place. We’ll create boundaries and regulations around social media that will enable us to use it in a manner that’s more generative and less depleting. Glimmers of this future are starting to pop up already. A recent Atlantic article is shedding light on how Instagram is saving poetry. The design of the platform, which incentivizes the bite-size lyric and briefly delivered quote, lends itself nicely to poetic prose. And there’s research to back this. According to a new study 12 of the top 20 best-selling poets last year were Insta-poets, who combined their written work with shareable posts for social media and nearly half of poetry books sold in the U.S. last year were written by them. 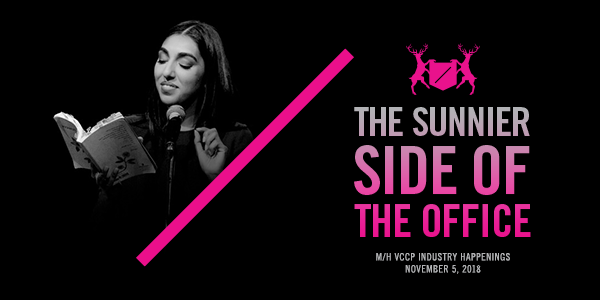 Indeed Insta-poet Rupi Kaur’s first collection, milk & honey, has sold 3.5 million copies, stealing the position of best-selling poetry book from The Odyssey. Poetry readership is also spiking as social media makes poets more accessible and discoverable. This year 28 million Americans are reading poetry—the highest percentage of poetry readership in almost two decades. Brands like Nike and Gucci have already begun incorporating prose from these Insta-poets into marketing campaigns. And there’s an even larger opportunity for brands to partner with niche groups using social media platforms in generative ways (Insta-poets being one of them) in order to model what a future of healthy social media consumption could look like. 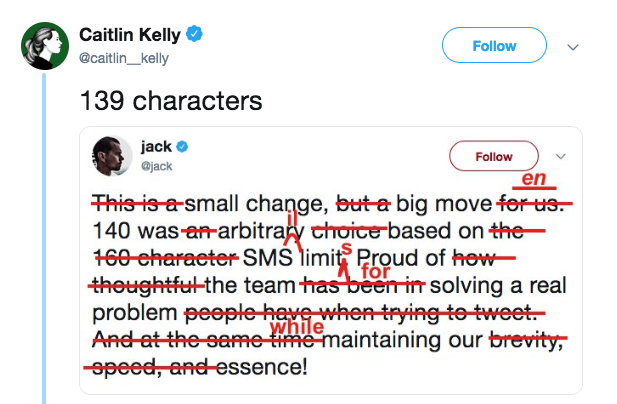 It’s been one year since Twitter announced it would double its character count from 140 to 280 characters. While many expressed frustration thinking this would alter the very nature of what the platform sought out to do, Twitter recently shared data showing that the move didn’t change much. Even though people have more space to tweet, only 12 percent of tweets were over 140 characters while only 1 percent reached the 280 character limit. Use of “please” is up 54 percent and “thank you” is up by 22 percent. However, this doesn’t factor in sentiment analysis so the intent of these words is still unclear. More characters means less reason to abbreviate so text speak has seen a decline with users opting to spell out more words. While it’s good to hear this change hasn’t disrupted the foundation of the channel, we hope news about what else may shift, including removing the Like button, are just rumors. TD Ameritrade clients will now be able to buy shares through Amazon’s smart speaker, Alexa. The online broker has strived to allow clients to interact with the brand through every faucet of their lives - from text, social platforms, a mobile app, and now, through Alexa. While TD Ameritrade has had an Alexa skills for years, the skill was limited to stock quotes and market updates. The addition of trading is a first for the industry and should yield some interesting findings. Smart speaker technology has become increasingly popular, but adoption of voice commerce remains low. Brands like TD Ameritrade are getting ready in case the trend changes. Election Day was designated as the Tuesday following the first Monday in November back in 1845. At the time, officials calculated that farmers needed a day to get to the country seat to cast ballots but did not want to interfere with church day on Sunday, so they chose Tuesday. We encourage everyone to get out and vote in the midterm elections tomorrow. To give M/H VCCP employees time to cast their vote, they will have the option to work from home on Tuesday. Copyright © 2018 M/H VCCP, All rights reserved.